Dragonfly Collections, a charming, high-end shop in Chicago�s Lakeview area, sells exotic furnishings and decorative accessories from more than 40 countries to designers, decorators, and walk-in clientele. QuickSell 2000 served the owner well and aided five years of expansion. But credit card transactions sometimes bogged, and it became clear that aging hardware and software should be updated. Owner Amy Boone trusted Merchants Solutions to replace the old system with modern Microsoft� Point of Sale, new computers, a touch screen, and other modern retail peripherals. Dragonfly Collections opened its doors in 1999 using a QuickSell 2000 retail system. Sales boomed and space doubled. But older hardware and software sometimes kept valuable customers waiting while staff rebooted the computer. Dragonfly management trusted Merchants Solutions, a Microsoft� Certified Business Solutions Partner, to install Microsoft Point of Sale, other Microsoft productivity tools, and new hardware in the front of the store and in the back office. Lines of customers now move even faster with �essentially 100 percent uptime� for credit card transactions. Owner Amy Boone sees daily reports detailing brands and designs sold. 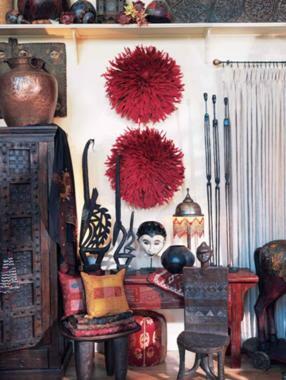 Customer purchase histories tell her who likes African, South American, or Asian furnishings. She suggests every new retailer should work a management system into their initial budget. Dragonfly Collections nestles north of Chicago�s Loop in the diverse and bustling Lakeview district. 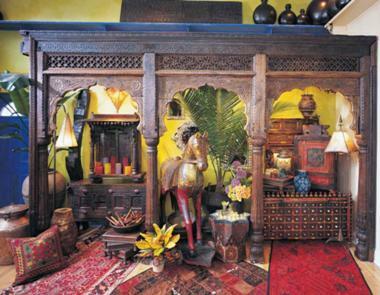 Its 2,200 square-foot showroom treats eyes and sensibilities to colorful and exotic furniture, accessories, wedding cabinets, trunks, rugs, pillows, textiles, fine candles, ceramics, and distinctive jewelry including antique brooches. I need all possible hours and minutes for the esthetic, marketing, and customer sides of my business. But if all your records aren�t accurate and up-to-date, pretty soon you don�t have a business! 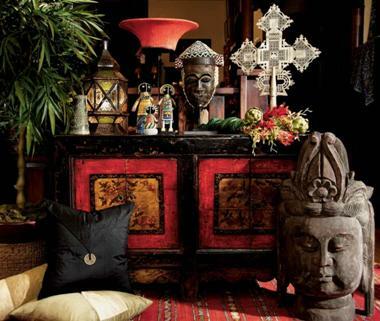 Owner and professional stylist Amy Boone exemplifies the store motto��Fusion decor for people with a well-traveled imagination��in her merchandising of thousands of items from 40 countries including Morocco, India, Kenya, Thailand, Nepal, Myanmar, China, Peru, and Honduras. Boone advises customers and often assembles impromptu merchandise combinations on the spot to resolve decorating dilemmas. �Once I know someone, I�ll show them our well kept 1,200-foot warehouse�maybe even our basement.� She may consult in a customer�s home, sometimes charging for her expertise. Boone and six staff keep the register busy Tuesday through Sunday thanks to devoted word-of-mouth fans and repeat customers. Cable television advertising, listings in upscale shopping guides, and Dragonfly�s frequent donations to local charity events have helped create broad awareness of the shop. Dragonfly has also been mentioned on national television, supplying decorative accessories for a famous talk show home makeover. These strategies helped Dragonfly double its space to include an upstairs gallery whose sweeping staircase once led to a high-fashion photography studio during the 1920s and 1930s. When Dragonfly opened in September 1999, its tracking of store inventory, tenders, receipts, customers, and purchasing came easier than for most first-time retailers. �We opened our doors using QuickSell 2000,� says Boone. QuickSell 2000 was the predecessor retail management system to Microsoft� Point of Sale. Boone�s father, John Furr, a Chicago advertising executive, had tapped Merchants Solutions to install and configure QuickSell 2000. Furr says he was immediately comfortable with Merchants Solutions� straightforward, helpful approach. Boone says the decision to automate early helped her focus on core strengths: innovative purchasing, creative merchandising, and deep customer involvement. At one point, the keyboard of the highly integrated previous system malfunctioned, making QuickSell difficult to use. Function keys, which sped sales and product lookups, went down. Staff was frustrated and customers waited longer than was comfortable. If our old hardware broke, fixing it would be expensive and a bad investment. If it got a software glitch, finding consultants for old programs is hard. We could be down for days. Why jeopardize your business like that? To skirt laborious data reentry associated with system conversions, Merchants Solutions transferred the QuickSell database into Microsoft Point of Sale. �Merchants Solutions has been great with their support, seeing our needs, clarifying steps, and helping us get good use out of the new system,� Boone says. Dragonfly used existing network cabling and still uses a reliable printer from its QuickSell system. Microsoft Point of Sale integrates credit card processing into new hardware and software, automatically reconciling Paymentech credit card sales into the day�s receipts, saving both time and space. The new system installed smoothly and the cutting-edge retail technology went live in February 2005. Today, new technology speeds sales and tracks perennial and one-of-a-kind inventory using a quick and intuitive touch screen that replaces keyboard function keys. Dragonfly says another positive is the ability to receive support from its partner and Microsoft. But Boone protects the warmth and personal atmosphere of her business. Although label printing could be easily accomplished using Microsoft Point of Sale wizards and an inexpensive printer, she prefers and retains the charm of neatly handwritten labels that also describe the origins of each item. �We use Microsoft POS for all our periodic reports on merchandise, receipts, fast and slow sellers, and reports on taxable and nontaxable sales. It�s very comprehensive and presents business facts the way I want to see them. If I�m talking to specific vendors tomorrow, instead of running a report on all candles or jewelry sold, as I used to, now I can run one just on Vance Kitira, Votivo, Seda France candles, or Liz Palacios jewelry, to see which designs to reorder. �When the old credit card modem line went down,� says Boone, �which it might do in the middle of a holiday rush or any other time, we had to reboot the computer while we wrote credit card data manually. No one was happy about that, and it opened the door to potential errors. Replacing our dial-up credit card line with integrated processing over a DSL line saves time on every sale and keeps customers happier�. We have essentially 100 percent uptime. The learning curve was fast because Boone and her associates found the new point-of-sale (POS) screens intuitive and very similar to the QuickSell screens they had learned previously. Staff use the Transactions on Hold feature so shoppers can bring items to the register and leave them, then continue shopping. Associates can switch back and forth among several transactions on hold, adding to each one as customers bring new items. Then final checkouts can take just seconds. Merchants Solutions customized touchable on-screen POS buttons. Each one delivers in a few seconds what could be a minutes-long search or delay without Microsoft Point of Sale: items by number, items by description, designer discounts, add item comments, return with receipt, cancel sale, and find a transaction. Staff can also omit sales tax for designers. �You never have to touch the store calculator again,� says Boone. �During the transaction,� explains Boone, �every item is instantly subtracted from inventory. You never transfer notes from a Post-it to a tablet to a sales slip or purchase order. You don�t even hand-copy columns from one computer program to another. It�s all done for you.